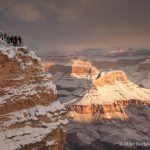 2017 was another noteworthy year at Grand Canyon National Park. Visitation numbers remained near record highs after the NPS Centennial of 2016, and a new administration has been signaling sweeping changes for public land use that will affect many of our national treasures. 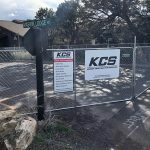 We have mentioned a few of these changes in this column throughout the year, and will no doubt revisit some of the political and climate-related threats in subsequent posts. In the interest of ending 2017 on a high note, I invite you to view this video produced by NASA, the National Park Service, and the United States Geological Survey. The narrative calls out many of the significant geologic features, and will leave you with a new appreciation of one of the Seven Natural Wonders of the World. Let it serve as a year-end reminder of the magnificent canyon system that has enriched so many lives; one that will need our ongoing support and protection for years to come.